As of 2019, we are phasing out of our original "Third Wave Coffee Source" name. Rest assured: we remain the same company, with the same core values and mission, as well as ownership. Now, under one united brand we are operating in Europe & North America. We also welcome our exporting company La Central de Café, operating out of Guatemala. We still have this tasty lot available for you to drop into your roasting drum! Finca La Pila & Neighbours is a well-selected lot combined from cherries from the farm La Pila owned by Rodolfo Garcia, his brother Ovidio Garcia and their neighbours. The Lot is from 28 small producers in the region of Santa Ana La Montaña in Fraijanes, which sits at 1,700 – 1,750 meters above sea level. This lot consists of bourbon, red and yellow catuai as well as Pache varieties. The cherries have been selectively picked, transported one and a half hours to the wet mill at Finca El Hato. Where the cherries were de-pulped, fermented for 22 hours and then washed with clean water. These spoiled beans then spent 24 hours in fresh cold water, during a "Double soaked" or "Kenyan Style soaking" and where dried with the rays of the sun over a 8 day holiday on the Patios. All this work has resulted in a coffee which has medium body, caramelized almond sweetness with notes of milk chocolate and cacao nibs. This is a solid coffee to be used as a single origin espresso or in a blend. We have 98 bags available of this deliciousness for US$ 5.50 per kilo. We are looking for an adventurous coffee enthusiast to joins our team! 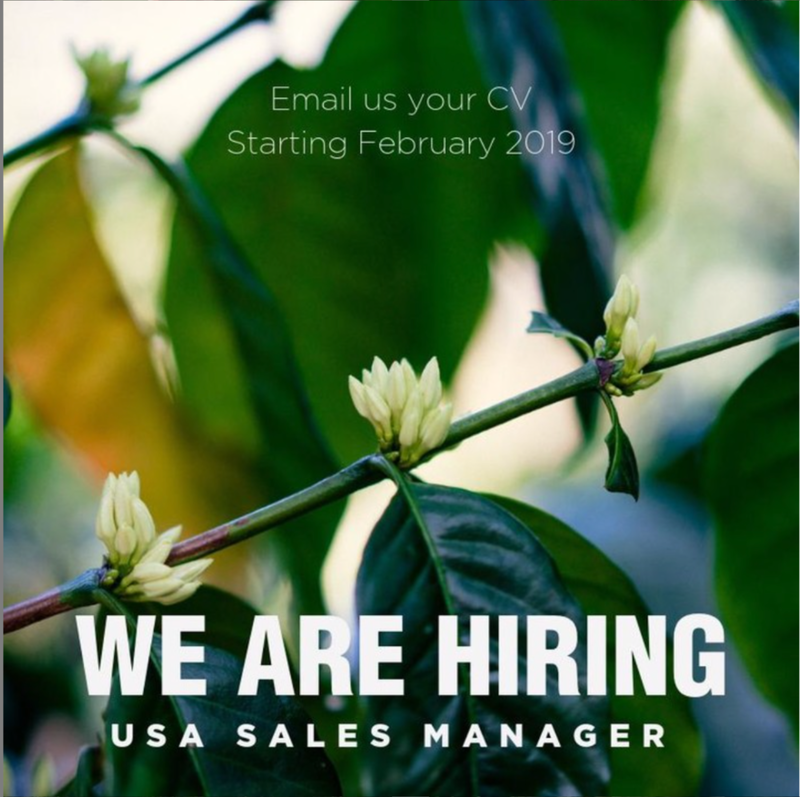 We need someone independent and knowledgeable about Sourcing and Green Coffee Grading. Be prepared to travel to Guatemala with us during the harvest (4 weeks in Feb – Mar, where further training will be provided). To then return home (preferably the West Coast, but other cities can work) and promote our coffees and producers while supporting customers with excellent service. We would be interested in someone with a sales background and roasting/cupping skills. Spanish language is a plus! If this is you please send your CV and questions to nadine@primavera.coffee.